posted by Billie Owens in news, Announcements, volunteers for animals, pets. The grant, via a voucher system, will cover the spaying or neutering of the pet, a rabies vaccine, a distemper vaccine and deworming. 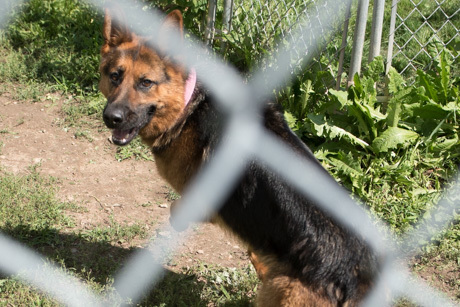 For many years, Volunteers For Animals has been committed to spaying and neutering all animals prior to adoption at the Genesee County Animal Shelter. We are now expanding that commitment to help pet owners in the community. We understand the pressing need to spay and neuter dogs and cats to alleviate the pet over-population epidemic. Volunteers For Animals has partnered with local veterinarians and their staff to provide quality, low-cost services to low-income residents in Genesee and surrounding counties. We believe that not only will this program help to reduce the pet overpopulation problem but will benefit the quality of life for both pet owners and pets. We believe that sterilized pets present a win-win situation. The pet is generally healthier and the pet-owner relationship is generally less stressful and, therefore, more enjoyable. The voucher is $20 and the pet owner must show proof of public assistance. It is for Orleans, Wyoming and Genesee county residents. We accept cash or checks only, no credit cards. To receive a voucher, the pet owner must come into the Shelter during adoption hours to purchase the voucher. We have four local vets who participate and the pet owner makes their own appointment for the surgery. An email can also be sent to [email protected] for more information. posted by Howard B. Owens in volunteers for animals, batavia, news, animals, pets. Volunteers from Volunteers for Animals were at the Animal Shelter today collecting donated scrap metal as a fundraiser for the shelter and the support provided by Volunteers for Animals. posted by Billie Owens in batavia, news, Announcements, animals, pets, volunteers for animals. We all know that it is important to have ID tags on our pets but how many of us don't have them? Be honest. VFA is committed to helping families get lost and missing pets back home. Since 2006, we have offered low-cost microchipping and continue to encourage it. But we all know that ID tags on our pets will help get them even faster, many times by passing the Shelter altogether. To help encourage getting our pets properly tagged, VFA recently purchased an engraving machine. Now you can stop by the Genesee County Animal Shelter during regular adoption hours to have a personalized ID tag engraved while you wait. All we are asking is for is a donation for the tag and to go home and get the tag on your pet. We are also encouraging you to put collars and ID tags on your cats, including indoor cats. No one plans for our cats and dogs to escape the house or yard, so please plan ahead! posted by Billie Owens in lost pets, animal rescue, Announcements, news, genesee county animal shelter, volunteers for animals. FOUND: A neutured, declawed senior cat "in not that great shape" that is 99.5-percent black -- he sports a few white hairs on his belly. No collar or microchip. "He's an old guy; his eyes are watery. He's in pretty rough shape," says Wendy, who is spreading the news of the "Old Tom" in hopes that maybe he somehow got out of his home and his owner is looking for him. Old Tom was found at a stranger's residence on South Main Street near River Street in Batavia on Friday and was taken to the Genesee County Animal Shelter. A volunteer promises to send us a photo of him tomorrow to post with this announcement. If his family is not found, maybe a senior would like another senior to bond with and will adopt him, n'est-ce pas? If you can help, please call 343-6410. UPDATE Monday, Oct. 31, 9 p.m.: So, it turns out, this is "Fatty," and Fatty is 17 years old, has always been an indoor/outdoor cat, and belongs to Mark Fanara. Mark will go to the shelter tomorrow at 1 p.m. to reunite with Fatty. posted by Billie Owens in fur ball, news, Announcements, batavia, genesee county animal shelter, volunteers for animals. New items are still being accepted for the auctions at the 13th annual Fur Ball to benefit the Volunteers for Animals Spay /Neuter program at the Genesee County Animal Shelter. The shelter is located at 3841 W. Main Street Road in the Town of Batavia. You can drop new auction items off this week during shelter adoption hours. Monday and Tuesday -- 1 to 3 p.m.
Wednesday -- 1 to 3 p.m. and 7 to 9 p.m.
Sunday -- 1 to 3 p.m. The Fur Ball begins at 6 p.m. at the Days Inn in Batavia on Saturday, Oct. 22. The Days Inn is located at 202 Oak St. The Fur Ball will feature food, fun, surprises, stupendous desserts and auctions! Cost is $25 for adults; children 12 and under are $15; tables of 10 are $250. Limited to 200 attendees. posted by Billie Owens in volunteers for animals, animal rescue, gc animal shelter, fur ball, spay and neuter program. The 13th annual Fur Ball to benefit the Volunteers for Animals' Spay/Neuter Program at the Genesee County Animal Shelter will be held starting at 6 p.m. on Saturday, Oct. 22, at the Days Inn in Batavia. The hotel is located at 200 Oak St. in the City of Batavia. Tickets are $25. Children 12 and under, $15. Tables of 10 are $250. Fur Ball features food, fun, auctions and surprises. New items are being accepted for the auction. You can drop them off at the shelter during adoption hours. Sun, Mon, Tues, Fri -- 1 - 3 p.m.
Wednesday -- 1 - 3 & 7 - 9 p.m.
Saturday -- 11a.m. - 1 p.m.
posted by Howard B. Owens in dogs, animals, volunteers for animals, pets, crime, batavia, news. Lily has been granted clemency, at least for now. Public Defender Jerry Ader, attorney David Fitch, representing the city, and City Court Judge Durin Rogers held meetings over the past two days and came to an agreement that will spare Lily her life, potentially, while the conviction of Duty Caswell for harboring a vicious dog will stand. As part of the agreement, Ader withdraws his motion challenging Caswell's conviction and will file a new motion to vacate the sentence. That should happen in about two weeks. In the meantime, Fitch must find a dog behavioral specialist who can certify that Lily is redeemable. Rogers issued an order in May to have Lily put down as a vicious dog because of an incident on Hutchins Place on March 7 where she bit a 13-year-old boy. She didn't help her case when she bit the Sheriff's K-9 deputy. But folks at the Animal Shelter believe Lily is worth saving and rallied to her cause. They secured space for her with the Kramer Foundation, which specializes in rehabilitating dogs declared vicious and slated for euthanasia. posted by Howard B. Owens in Hogs for Paw, volunteers for animals, pets, animals, batavia, news. Rocky got to visit Hogs for Paws today, the annual fundraiser hosted by Stan's Harley Davidson for Volunteers for Animals. The volunteers were thrilled to see Rocky again and he was thrilled to see them. Then he got microchipped, which he took like a champ. There were lots of dogs and people there, which was also thrilling for Rocky. posted by Billie Owens in genesee county animal shelter, animal rescue, volunteers for animals. There will be a big honkin' garage sale at Rick's Storage to benefit the critters at the Genesee County Animal Shelter from 9 a.m. to 4 p.m. June 16-18. All proceeds will go toward the homeless animals. Rick's Storage is located at 3566 W. Main Street Road in the Town of Batavia. Donations are still being gratefully accepted at the shelter. Drop off good used stuff at the shelter, located at 3841 W. Main Street Road, Batavia. NO CLOTHES OR TVs. Go on, clean that garage, get rid of the old china you never use, toss those doodads and whatnots, be gone with the plastic flowers and rusty tools. Out with it, already! Let someone else take pleasure in your treasure. Recycle your finds. You'll be glad you did and so will the cats and dogs in need. posted by Billie Owens in news, Announcements, business, volunteers for animals, genesee county animal shelter, animal rescue. Come out and support the animals of the Genesee County Animal Shelter by donating scrap metal. Volunteers for Animals are collecting scrap metal to raise money for the animals from 11 a.m. to 3 p.m. on Saturday, June 4th and Sunday, June 5th in the parking lot at the shelter, located at 3841 W. Main Street Road, Batavia. Metal of any kind will be accepted: railings, doors, garbage cans, file cabinets, bicycle frames, gutters, pipes, poles, fencing, window frames, lawn furniture, tools, shelving, washing machines, dryers, stoves, wheel barrows, wagons, etc. We CANNOT take propane tanks, air-conditioning units, or refrigerators. Scrap service provided by Ed Arnold EAS Scrap Processors of Corfu. UPDATE 12:58 p.m., June 1: Due to the overwhelming response from donors wishing to have their scrap metal items picked up, the Volunteers for Animals are going to be extra busy doing just that between now and the weekend. So people are encouraged to find a way to bring their own scrap metal donations to the site, if arrangements have not already been made. posted by Billie Owens in news, volunteers for animals, feral cats, batavia. We received this e-mail from Rich Pearson, treasurer of Volunteers for Animals, in regards to the story we published April 12 about trapping and treating Batavia's community cats. I wish to clarify some of the points presented in your recent article on trapping and treating cats under the city's program. I am not sure how Ms. DiFante came to receive the information for this article but this is a completely inaccurate account of recent events. This implication of the article is that the City was involved in this operation. Ms. DiFante presents this as proof that the city's program is actively working to control the community cat problem. This is not at all true. Two volunteers from Volunteers for Animals initiated the assessment of this particular situation and arranged for spaying/ neutering and vaccinating these cats. Ms. DiFante, Mr. Sheflin and Ms. Brade were not consulted or involved in this issue. There was no coordination requested from nor provided by the city. The funds to pay for vetting these cats came from Volunteers for Animals community spay/neuter efforts. VFA has been awarded a grant through the ASPCA to cover spay/neuter of pets belonging to low-income families and through a donation from an individual, VFA provides low-cost spay/neuter of pets belonging to families who don't qualify for the ASPCA grant but need some assistance with the cost of the surgery. Almost all of the information given to you regarding this incident was incorrect, including the location and number of cats. It is correct that all of the cats were treated at State Street Animal Hospital. The VFA is committed to the spay/neuter of pets and we have spent a great deal of time and effort and have committed volunteers who devote a great deal of personal time to this endeavor. While the city is attempting to use our results to show that they are doing something, the bottom line is that apparently the city has no grant writers who can apply for the grants ASPCA does have for spay/neuter of feral colonies. The VFA actively promotes spay neuter programs while the city flounders in discussions and releases inaccurate press releases. posted by Billie Owens in spay and neuter, news, volunteers for animals. Volunteers For Animals wants to remind you that grant money is still available from the ASPCA to provide low-cost spay and neuter of canines and felines belonging to NYS residents who receive public assistance. The ASPCA administers the New York State Animal Population Control Program on behalf of the New York State Department of Agriculture and Markets. The grant, via a voucher system, will cover the spaying or neutering of the pet, a rabies vaccine, a distemper vaccine and deworming. Since 1984, Volunteers For Animals has assisted with the care, treatment, and adoption of animals residing at our area's municipal shelter, the Genesee County Animal Shelter in Batavia. We provide care and services that would not be available if not for our involvement. Prior to our participation, sick animals were euthanized and none were spayed or neutered. Our group is staffed completely by volunteers, some of whom have been involved for over a decade. We are a dedicated group of volunteers who coordinate all the the necessary care and treatment for the animals at the shelter. For many years, Volunteers For Animals has been committed to spaying and neutering all animals prior to adoption at the Genesee County Animal Shelter. We are now expanding that commitment to help pet owners in the community. We understand the pressing need to spay and neuter dogs and cats to alleviate the pet over-population epidemic. Volunteers For Animals has partnered with local veterinarians and their staff to provide quality, low-cost services to low-income residents in Genesee and surrounding counties. We believe that not only will this program help to reduce the pet overpopulation problem but will benefit the quality of life for both pet owners and pets. We believe that sterilized pets present a win-win situation. The pet is generally healthier and the pet-owner relationship is generally less stressful and, therefore, more enjoyable. To receive a voucher, the pet owner must speak with a member of Volunteers For Animals. The pet owner can call the Shelter at 585-343-6410 to leave a message for a volunteer -- please leave name and phone number where a volunteer can call the pet owner. An e-mail can also be sent to [email protected]. posted by Billie Owens in volunteers for animals, spay and neuter, animal rescue, genesee county animal shelter. Volunteers For Animals is proud to announce that we have been awarded a grant from the ASPCA to provide low-cost spay and neuter of canines and felines belonging to NYS residents who receive public assistance.